Ivan & Levine provides truss and rigging system for your event staging requirements. Find a wide selection of Trussing & Rigging Systems rental over at Ivan & Levine. We provide in-house truss, motor controls, shackles & cabling with only the highest quality and safety standards. We are also able to create various shapes & sizes of outdoor roof structures catered to your event. 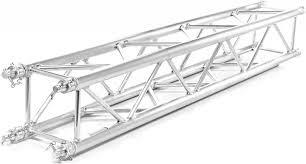 We also do truss rental for self DIY purposes. Please feel free to call us to enquire about the specifications you might need for your stage needs and let us solve your needs for your special occasion. We use only Global Truss to ensure safety for everyone. All accessories such as chain hoist based on your requirements. Let our friendly consultant and support advise and recommend you accordingly. ​We plan & monitor to ensure your equipment & support arrives on time to your location.